Every system requires a brain to control its peripheral nodes. Embedded Course in Jaipur helps controllers act like a brain to take some important decision. Internal external interfacing gives a good platform in designing a complete system. Embedded systems Training in Jaipur ranges from portable devices such as digital watches and MP3 players, to large stationary installations like traffic lights, factory controllers, and largely complex systems like hybrid vehicles, MRI, and avionics. Most of the products in your home are embedded which give excellent experience and comfort to the user for e.g. Refrigerator, Setup Box, Microwave Oven, Digital Camera, Home Security system ,Television, Air Conditioner, and much more. 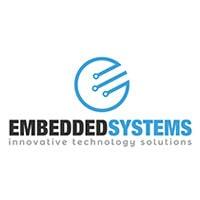 Today approximately 98% of all the microprocessors manufactured in the world are used in embedded systems. With Technoglobe’s Embedded system course in Jaipur, a wide variety of career options are enhanced for professionals and students for short-term certification programs designed for the learning of industry needs in the field of Information Technology. The following illustrations shows the practical methodology Technoglobe adopts to give hands-on learning with varied modules used in industry oriented Embedded System Training in Jaipur. Embedded Training will help you to find good job or create chance for your promotion. We have plenty of experienced professional instructors who will teach you at best level with live project that will help you to implement new stuffs. We designed this Embedded course according to current demand of software industry. Humans are running from a long time for looking out some example of smart devices. Answer was implementing a system with controlling hardware. Every system requires a brain to control its peripheral nodes. Embedded controllers act like a brain to take some important decision. Internal external interfacing gives a good platform in designing a complete system. Embedded Course Training in Jaipur- Technoglobe is one of the best Embedded training institute in Jaipur with 100% Placement Support. We provides real-time and placement focused Embedded training in Jaipur. We have a track record of more than 1000 placements.